LaSalle Lancers football team played Moeller Crusaders on September 28th, 2012 at LaSalle, OH. LaSalle lost 37-22. Moeller one of the top teams in the nation and recovering from a GCL South conference game loss vs. St. X the week prior, came out strong against the Lancers. At the end of the first quarter Moeller was leading 16-0. Although the Lancers outscored Moeller in the combined remaining quarters, the 16 point hole was just too deep to climb out of. 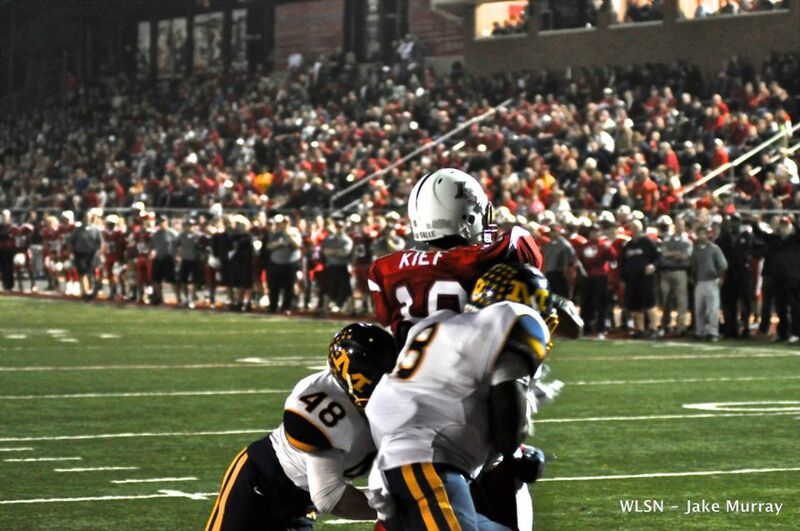 Moeller Senior RB Keith Watkins (committed to Northwestern), was nearly impossible for the Lancer defense to stop. Watkins ran the ball 22 times for 224 yards and 2 touchdowns. Well done Keith and good luck next year at Northwestern.